It is time for our monthly session of top 10 free themes in WordPress Theme Source. 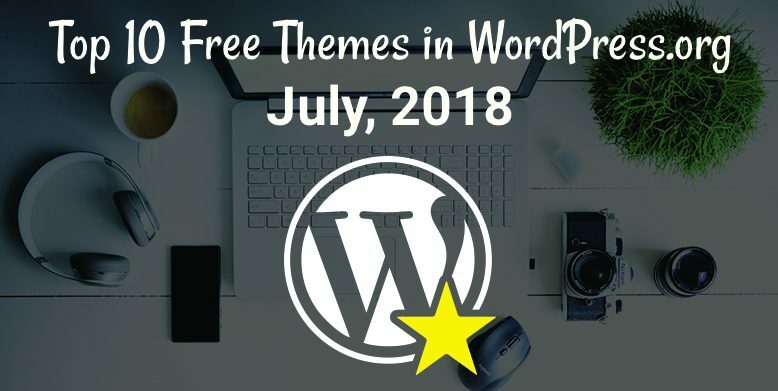 As always, plenty of free themes were added to WordPress.org in the month of July. And choosing the best themes for your website without affecting your wallet can be quite a trouble to go through. And that is exactly why we have done all the research for you to make your pick easier and we’re very happy to bring you the list of top 10 free themes in WordPress.org—July 2018. All of the following themes were released in the month of July. So, without any further ado, let’s head right into the list of what we think are the top 10 free themes in WordPress.org—July 2018. 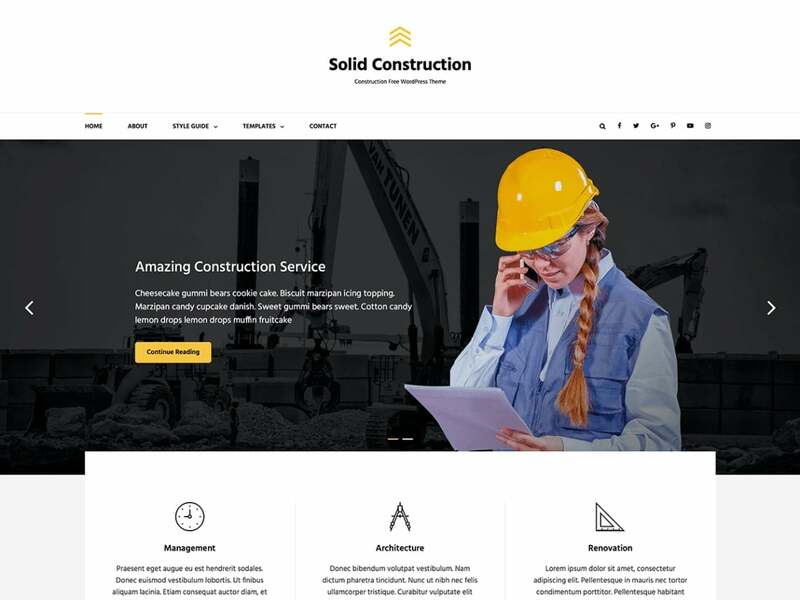 Solid Construction is a Free Construction WordPress theme, which is highly customizable and fits perfectly for construction companies to put their website in the forefront. It has a capable framework for crafting impressive, modern websites for the architectural firms, building companies, and freelance architects. With Solid Construction, you are able to build an astounding web page with excellent loading speeds resulting in a superior customer experience. Solid Construction is easy-to-use, feature-rich and visually stunning. The theme is extremely creative, modern, and user-friendly. With all the amazing features included, Solid Construction will take care of everything to give your construction website an awesome online presence which in turn will definitely attract more customers to your business. Your website will look powerful yet elegant on mobile devices and desktop computers, regardless of screen resolution with its responsive design. 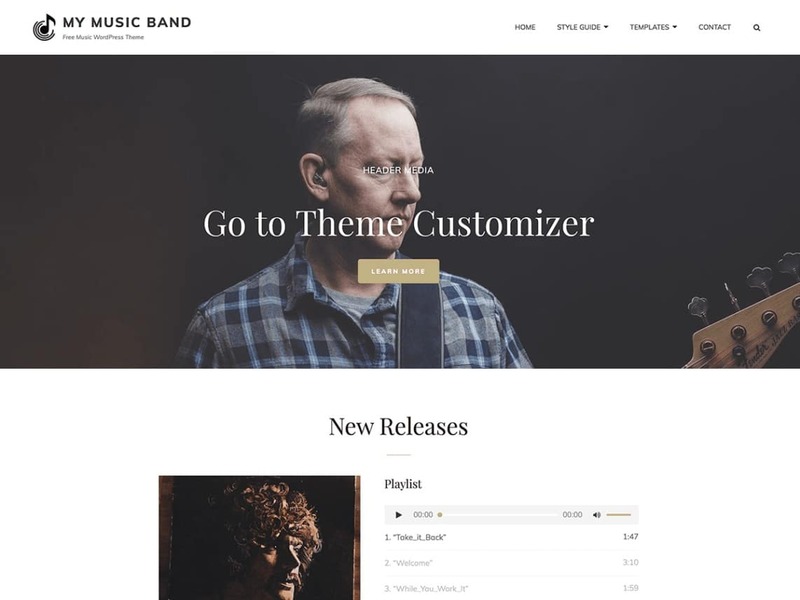 My Music Band is simple, clean, responsive and easy to use Music WordPress Theme which has been specially designed, prioritizing the musicians and music bands to promote their music. The theme is deeply engaging and attractive, powerful and unique, stylish and flexible; a perfect solution for music related websites. It mainly focuses on creating an elegant personal website for the musicians in only a matter of times. With incredible features integrated into My Music Band, your website will surely provide a musical vibe to your audiences making it more engaging and visual. 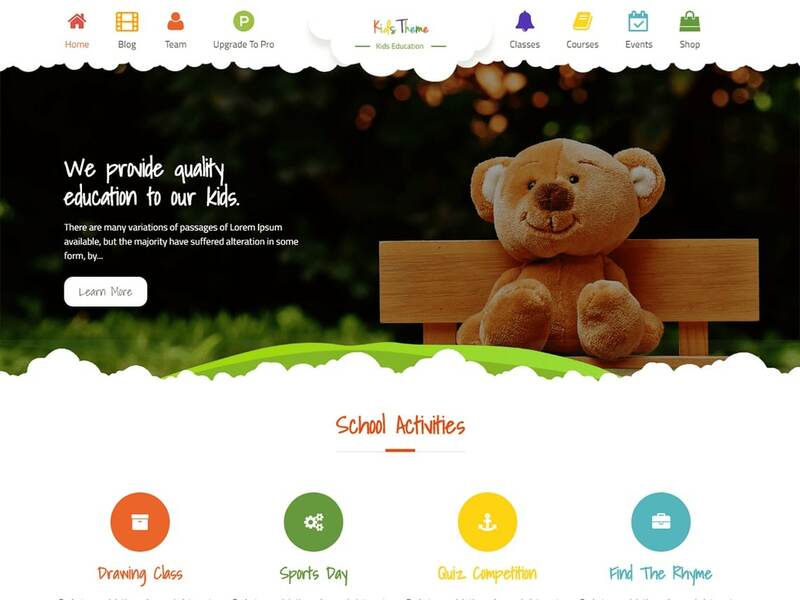 Kids Education is a Multipurpose WordPress Educational theme suitable for Kindergartens, Daycare, Primary Schools, Secondary Schools, and High-schools. Kids Education Theme is also suitable for any educational activities and, with a colorful design, it is ideal for toys stores, activities related to children too. It can be adapted to any kind of industry – not only educational but also babysitting and summer camps. All pages are optimized in order to perform, in a simple and fast way. Kids Education, one of the top 10 free themes in WordPress.org—July 2018, is a very good choice as it is very appealing and eye-catching. The theme is translation ready. 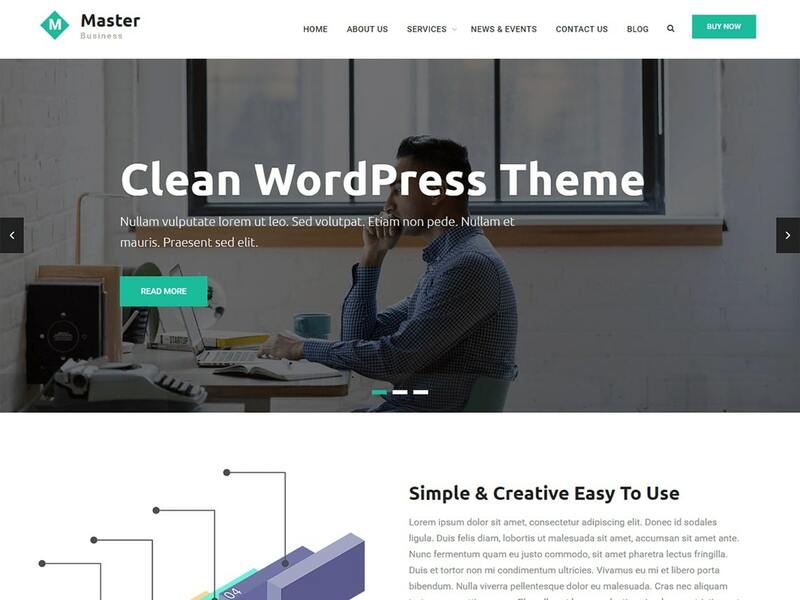 Master Business is a simple yet elegant WordPress business theme. It would be an excellent choice for the startups and new business companies. It is suitable for both the corporate business and business websites. 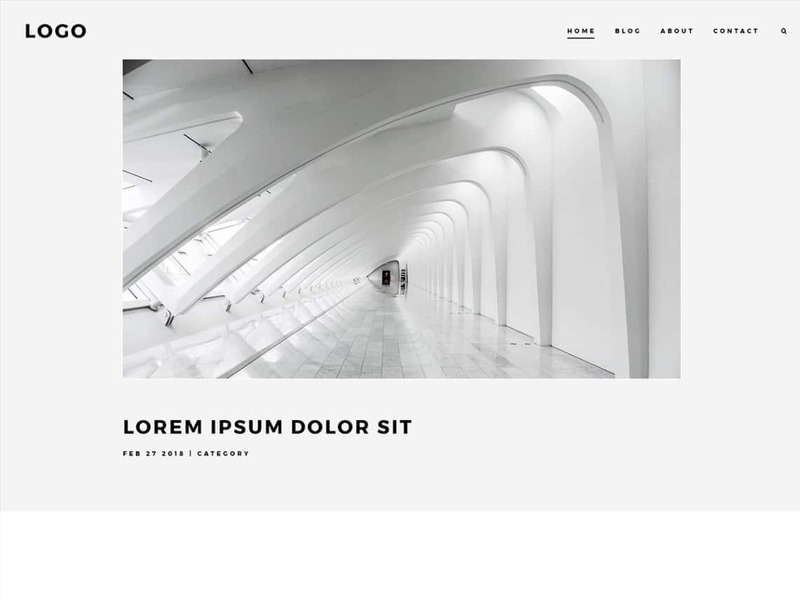 This theme can be used in the different arena like portfolio, design, art and many more. Loaded with several handy features, it helps you to set up your site with ease. As the theme is cross-browser compatible and also supports responsive design, it would be the best tool to showcase your business in the online world. 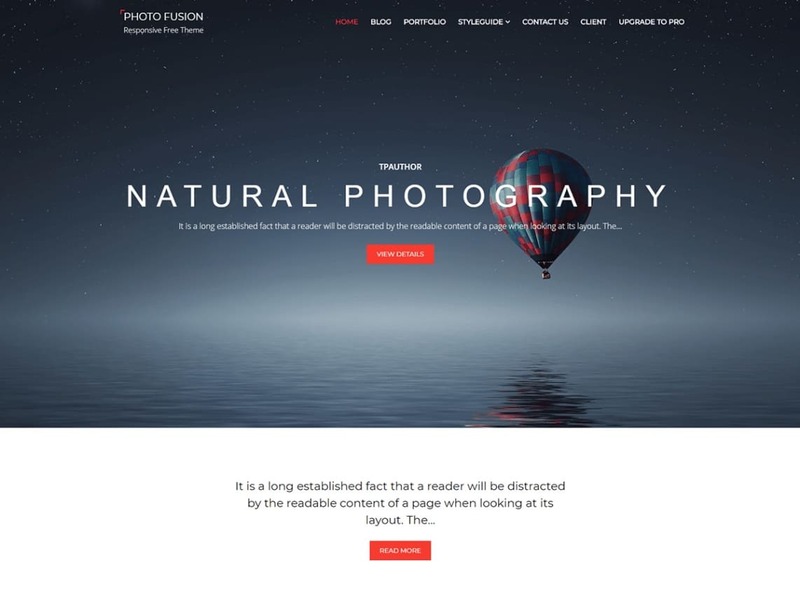 Photo Fusion is a Responsive WordPress photography theme which is specially designed for photo blogging, photo sharing and is perfect to manage your personal, travel, food and fashion blog. It is a responsive theme which is compatible with all types of devices. Photo Fusion’s clean design and power-packed features which will definitely ensure your reach are broader than you ever thought. The theme is translation ready. Photozoom is an elegant and minimalist WordPress theme for photographers, painters and other artists and professionals. It is great for portfolio and personal websites. Photozoom makes it easy to display 3 of your most important pages on the homepage, such as your professional services. The header of the website can be centered or split (logo on the left and menu on the right). Posts are displayed in a 3-columns layout. It also comes with 2 built-in color styles: Light and Dark. Photozoom is translation ready. Cartel is a thoroughly modern and minimalist responsive WordPress theme designed to showcase your written content and featured images. The homepage showcases a single featured post, either your latest or a sticky post, followed by a masonry grid of all the latest. The home page also has a dedicated widget area so you can add some highlighted content. Cartel comes packed with awesome features that will help your site look beautiful and attractive. 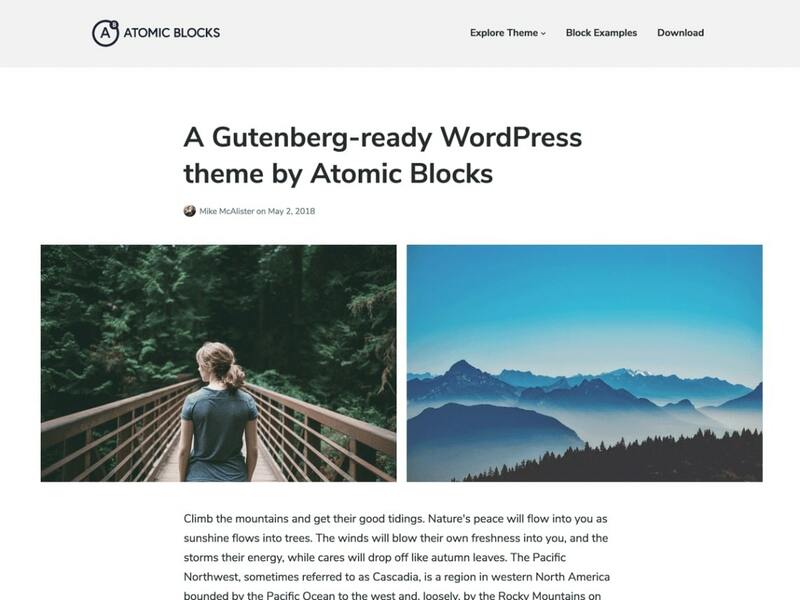 Atomic Blocks is a simple yet powerful WordPress theme that integrates perfectly with the new Gutenberg editor. It comes power-packed with awesome features. Atomic Blocks comes with theme options to customize your font style, body and title font sizes, content width and more! Atomic Blocks, one of the top 10 free themes in WordPress.org—July 2018, is a very good choice as it is very appealing and eye-catching. The theme is translation ready. FolioPress is a minimal multipurpose super flexible Portfolio WordPress Theme that makes it easy to showcase your work, blog, and store. It is specially designed for designers, photographers, artists, and creatives. There is two post view layout (Grid and list), Social Profile and many more. FolioPress comes power-packed with awesome features that will help your site look more attractive and eye-pleasing. The theme is translation ready! 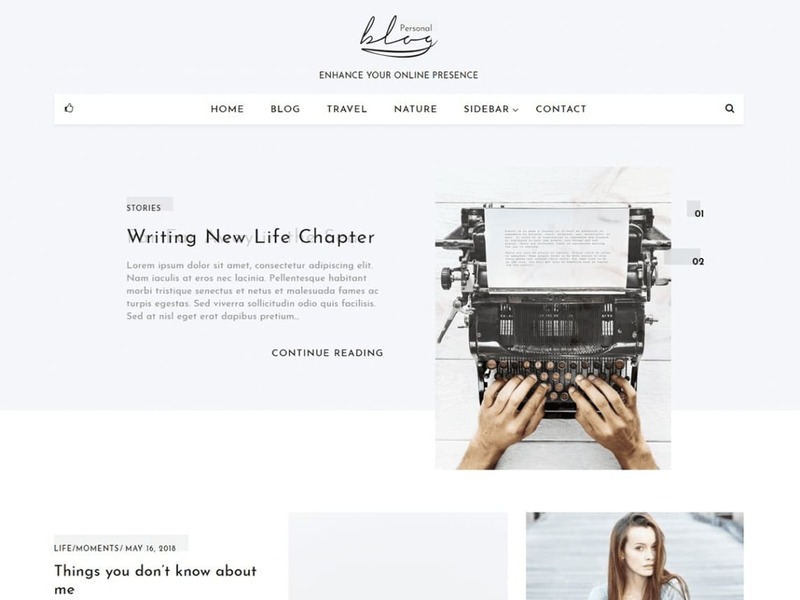 Blog Personal is a clean, well structured, user-friendly, and flexible WordPress Magazine Theme with a smooth feel which is perfect for news sites, editorial websites, and online magazines. Blog Personal is crafted and designed in a way that will leave all of your users stunned. 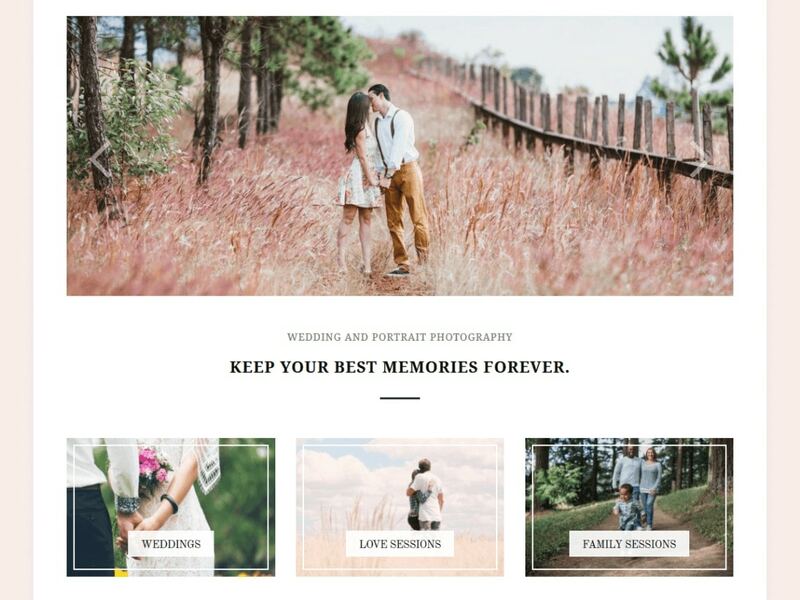 Not only is this visually amazing to look at, but this template is rich with tons of amazing features. 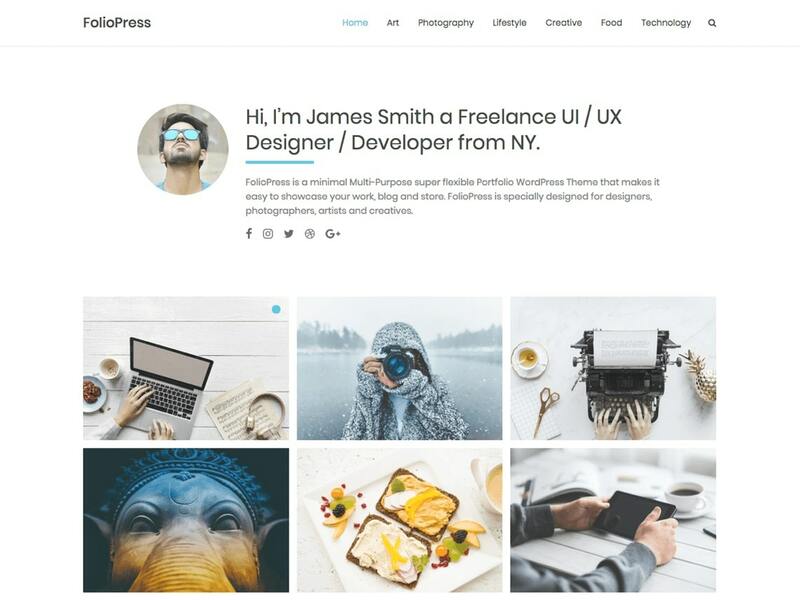 Blog Personal, one of the top 10 free themes in WordPress.org—July 2018, is a very good choice as it is very appealing and eye-catching. The theme is translation ready. We’ve come to an end to our list of top 10 free themes in WordPress.org—July 2018. All of these free themes are beautifully designed and are also very simple to use. You should definitely pick from the above themes if you’ve been looking for a change in your website without affecting your wallet. We will be back with our monthly session of top 5 (or 10) free themes next month. Till then, Happy WordPressing!